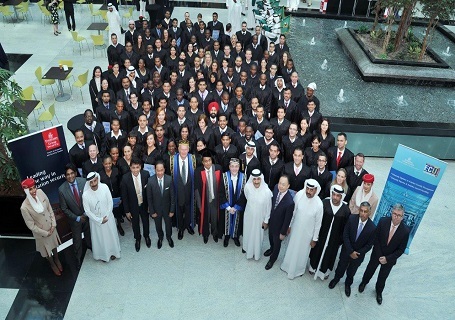 Dubai, UAE, 8th October 2015: More than 165 students from 54 countries graduated with degrees in aviation security management and ground handling and are now fully equipped to meet the growing demand for specialist aviation industry skills. The graduates received their diplomas on Thursday from the Centre of Aviation and Security Studies (CASS), a joint partnership between Emirates Group Security and the Edith Cowan University (ECU), where they received training and specialised education that prepared them for a lifelong career in their field. During the ceremony, diplomas were presented by Shaikh Ahmad Bin Saeed Al Maktoum, President of Dubai Civil Aviation Authority and Chairman and Chief Executive Officer of the Emirates Group alongside Chancellor of Edith Cowan University, Hendy Cowan, and Pablo Kang, Ambassador of Australia to the UAE, who made a short speech congratulating the graduates. 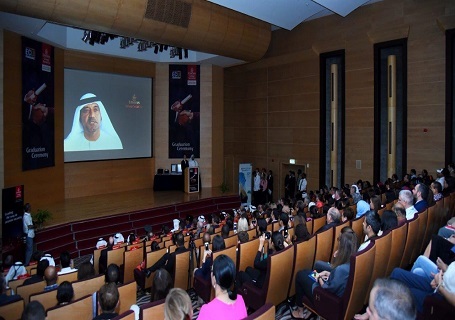 Dr Abdullah Al Hashemi, Divisional Senior Vice President of Emirates Group Security and CEO of Transguard Group, said the students who graduated demonstrate the commitment of Emirates Group Security to keep abreast of new trends, challenges and threats through formal education programmes. 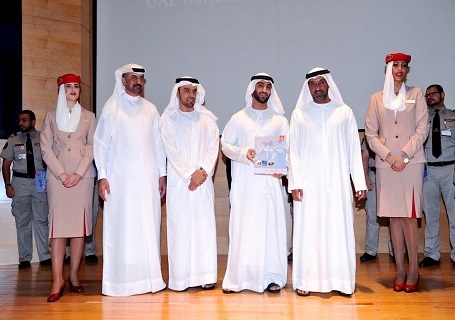 “The knowledge these students gained during the course of their education will benefit not only Emirates, but aviation-related organisations around the globe,” he said. 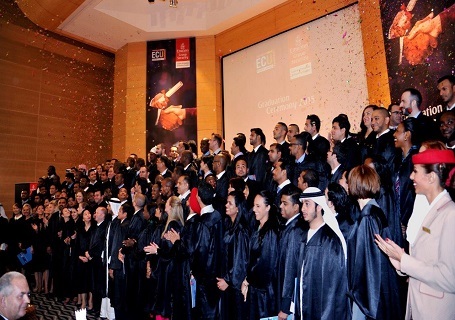 A large percentage of the total graduates already work for Emirates as cabin crew. In total, 168 students graduated this year, 114 with diplomas in aviation security and 55 in ground handling. During the programme, students were required to take 18 months of part-time classes on a robust set of topics, including crime prevention through environmental design; the legal framework of aviation security; and threat assessment and management. Students had to sit for written examination at the end of every module. Diplomas were issued by Edith Cowan University of Australia, and are officially recognised by the GCAA. The diploma programme is said to be part of broader initiatives developed to extend the security education platform developed for aviation security within the Emirates Group to the other stakeholders.